Nobody understands your (soon to be past) struggles to forge a stronger, leaner, more muscular body for yourself than Scott Abbett. He’s been on the extremes of the ‘fitness spectrum’ and everywhere in-between. In his teens and early twenties, he was skinny and desperate to gain muscle. In his thirties, he was fat, lethargic, and heading quickly in the wrong physical and psychological direction. This provides him an empathetic viewpoint of your particular situation from different vantage points. 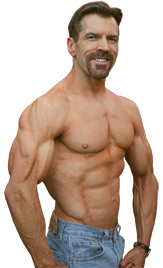 Scott has been in world-class elite physical condition (twice through Navy SEAL Training). His military experiences into the extremes of physical conditioning have provided him with practical knowledge in the realm of mustering nearly unstoppable motivation. At another time, he was so out-of-shape as to be huffing and puffing from cigarette smoke and extra fat pounds while simply trudging up a small flight of stairs. His “couch potato experience” into the extremes of carbohydrate addiction has given him the experience of knowing what it’s like to find chasing down a box of Krispy Kreme donuts with a six-pack of beer actually sound appealing. Scott has a quarter-century of experience in natural bodybuilding behind him. He’s experimented with every routine and bodybuilding supplement that’s come down the pike. These twenty-five years of acquired knowledge through trial-and-error have given him the wisdom to save his clients and readers years of wasted time and money in their quest to improve the appearance and performance of their bodies. 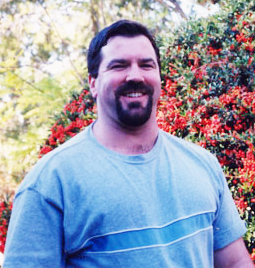 Scott has combined his invaluable practical bodybuilding and military knowledge about motivation with certifications in Fitness Training, Sport’s Mental Training, and Neuro Linguistic Programming. These theoretical credentials combined with his vast practical experience provide his clients and readers with a powerful bodybuilding and fitness arsenal that they just can’t get anywhere else. This has made Scott Abbett the premiere ‘Mind/Body Expert’ on the Internet today. He looks forward to sharing his powerfully effective mind and body enhancing strategies with YOU so that YOU can enjoy HAVING a better body instead of struggling to get one.